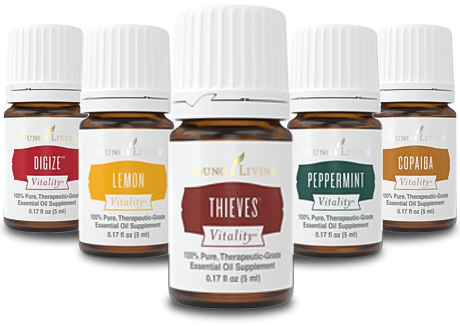 Vitality essential oils are perfect for adding flavor to your favorite foods or using as dietary supplements, the Vitality dietary essential oil line gives you the freedom to share and explore some of our best-loved essential oils in a variety of nutritious and delicious ways. is a great mealtime companion and addition to your wellness regimen. uses a base of sesame seed oil and adds our proprietary blend of essential oils for wellness support. supports well-being and normal cellular health when taken internally. was designed to be taken as a supplement along with supportive antioxidants and a diet of fiber-rich foods. can help support a healthy lifestyle regimen when taken internally. is a powerful combination of powerful essential oils, including Thyme, Orange, Clove, and Frankincense. contains a balanced blend of essential oils that align well with common women’s wellness practices. combines Lemon, Clove, Eucalyptus Radiata, Cinnamon Bark, and Rosemary essential oils to create one of our most popular products. Ready to try Vitality Essential Oils?